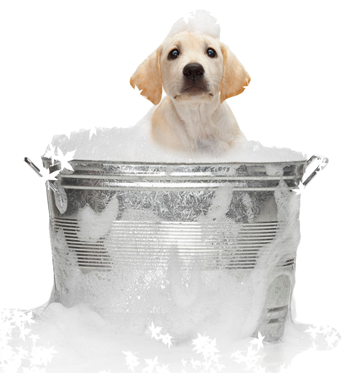 Maple Ridge's premier dog grooming, dog boarding services and more! At Fresh Pets we now offer an array of pet services, this includes dog and cat grooming, dog daycare, pet hotel, dog training and pet photography. We always strive to provide the most positive experience for the pet and their owner. We treat your companion as if they were our own! We are DOGSAFE® Canine First Aid Certified. Rest assured, your pet will always be in excellent care. Angela and Steve have built Fresh Pets on trust, professionalism, availability and integrity. All pets are groomed in a calm one on one, relaxing environment with no distractions. 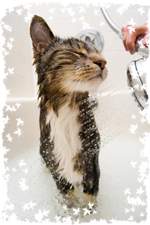 Your pet will never be rushed during its grooming visit at Fresh Pets. All dogs (and cats!) are hand dried and never put in a kennel to dry. We cater to you and your pets needs by offering a variety of pet services from dog and cat grooming to pet photography. Fresh Pets is your one stop shop for all your pet service needs! Your pet will receive individual specialized attention by our gentle professional dog groomers and dog trainers. So whether your pooch will join the pack for a fun filled day of dog daycare or spend the week for dog boarding, your pet will feel right at home! We have moved to Maple Ridge! We are now working along side a partner which enables us to gain access to over 10 acres. This now enables us to cater to wider variety of pets big and small. We still only accept a limited number of pets per day, which enables us to gain better relationships between our pets and our clients. This also allows our groomers the ability to work in a calm stress free environment. We strongly recommend that you book your appointments in advance. Don’t delay, book your appointment today and make your pet a fresh pet! Guaranteed a happy and Fresh Pet!